Bolt-through spindle style bumpsteer kit is required when installing MM K-member. No need to purchase an entire new bumpsteer kit: Allows converting a tapered-stud style kit to bolt-through style. 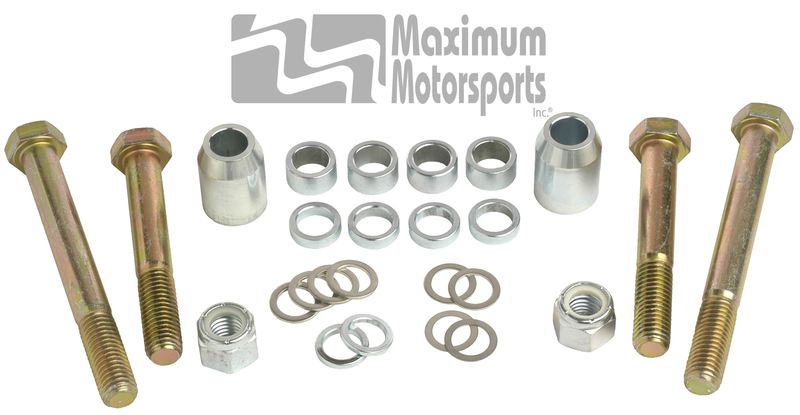 Increases the limited adjustment range of a tapered-stud kit to the wide range of adjustment of the bolt-through bumpsteer kit. Does not include the aluminum adapter sleeves or spherical rod ends.